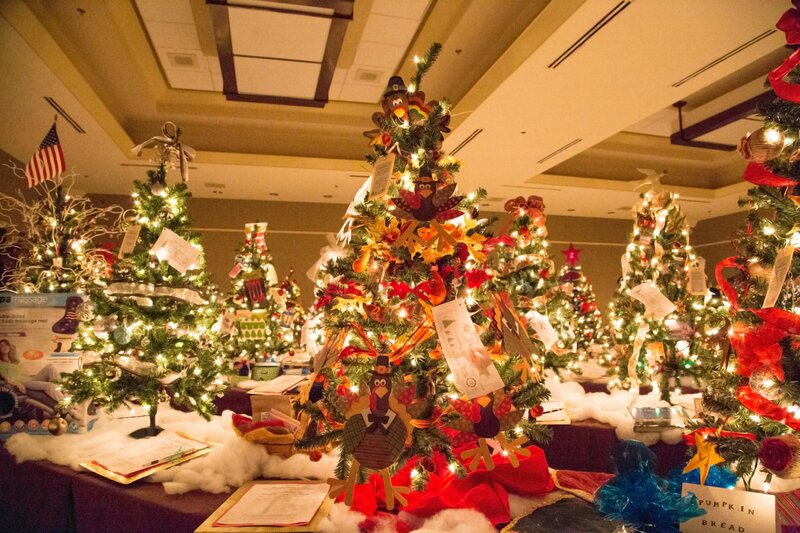 Join the Junior League of Northern Virginia for our 16th annual The Enchanted Forest. What: A weekend-long holiday festival featuring Kids in the Holiday Kitchen, live entertainment, and much more. 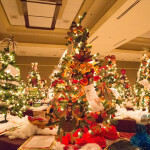 Stroll through the whimsical forest of 75 theme-decorated holiday trees available for silent auction throughout the weekend. Don’t miss the model train display by the National Capital Trackers, hands on cooking demonstrations, gift, crafts and holiday decorations for purchase. Saturday, Nov. 19 from 11 a.m. – 5 p.m.
Sunday, Nov. 20 from 10 a.m. – 3 p.m.
General Admission: $10 for adults; $15 for kids. Children under 2 are free. Purchase your tickets here. Premium Events: Add to your experience by attending one of our premium events, including the VIP Breakfast with Santa, Brunch with Santa, Gingerbread Workshop, the Enchanted Tea, and an evening reception. Why Attend: Proceeds from The Enchanted Forest benefit the Junior League of Northern Virginia’s community initiatives through Kids in the Kitchen programming.